Welcome to our Virtual World. We Om Shivam Buildcon Builders are a one of the leading builders in Nagpur Maharashtra. Om Shivam Buildcon Builders is a fastest growing Real Estate Builders in Nagpur India. We are also one of the large and renowned Best Budget builders in Central India. We are aware of the Global Real Estate market and we can forecast the market tendency. Our services are opened for our customers in India and vice versa. Om Shivam Buildcon Builders offer you Residential property in India, Luxury apartments in Delhi and plotted development together with facilities for example clubhouse, swimming pool and shopping complex within your budget. Company: Omshivam Buildcon Pvt. Ltd. 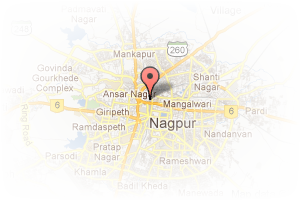 Address: Opposite Annabhau sathe smarak, Nagpur., Wardha Road, Nagpur, Maharashtra, India. PropertyWala.com » Nagpur Real Estate » Nagpur Builders / Developers » Omshivam Buildcon Pvt. Ltd. 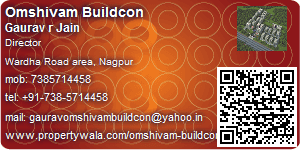 This Builder Profile page for "Omshivam Buildcon Pvt. Ltd." has been created by PropertyWala.com. "Omshivam Buildcon Pvt. Ltd." is not endorsed by or affiliated with PropertyWala.com. For questions regarding Builder Profiles on PropertyWala.com please contact us.